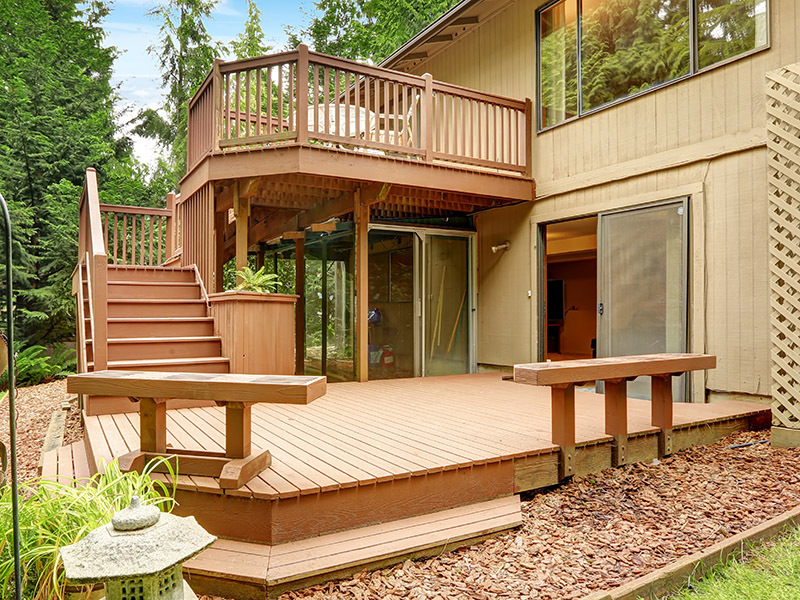 Whether you’re looking for a traditional natural wood deck, contemporary composite, gorgeous custom benches, or anything in-between, our professional team of experts are prepared to handle your project. From small ground floor decks, to large scale tiered looks, Canadian Vintage offers experienced service from start to finish. 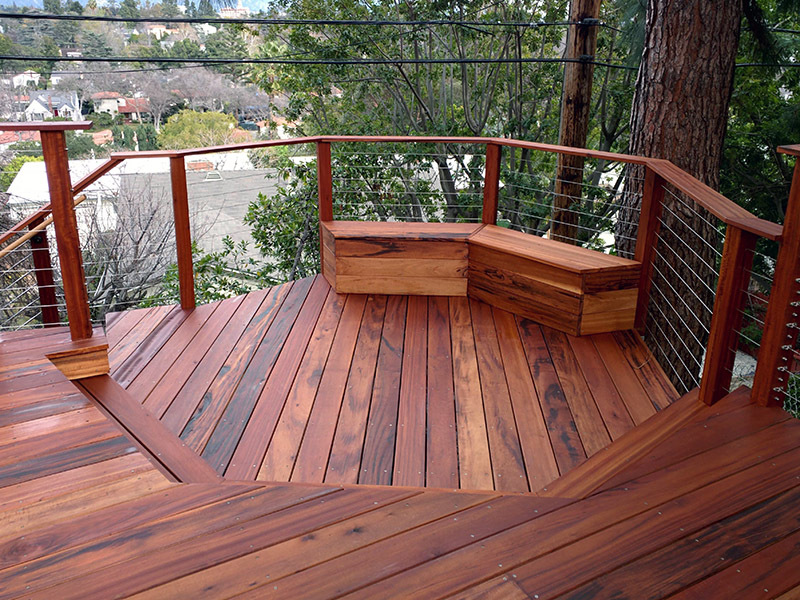 The original and still most common decking choice, wood is natural, strong and feels great under bare feet. Even though all wood naturally weathers to a gray color, it should be cleaned and re-stained every two to three years to keep it looking its best. Nothing matches the natural beauty of real wood — its warmth, color and grain variations enhance a deck, and seem to flow more readily into the outdoor surroundings. 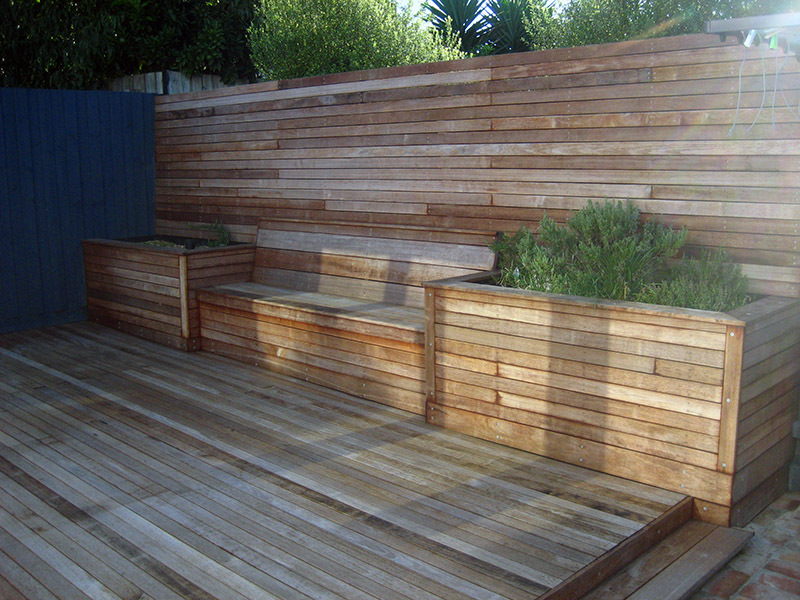 Common woods for decking include Cedar, Redwood, Mahogany, Teak and Ipe. 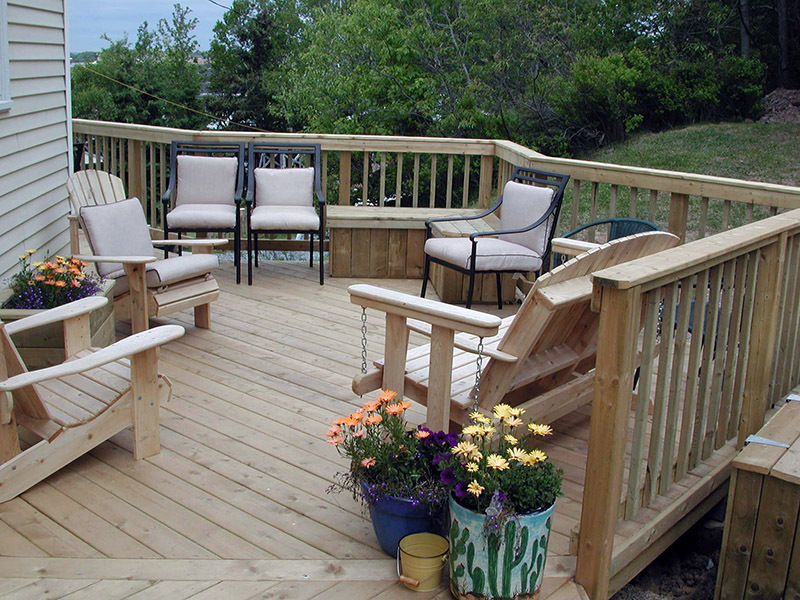 A popular choice for decking is pressure-treated lumber. Pressure-treating woods such as fir, hemlock, and pine will greatly improve the wood’s resistance to weather and insects, so it lasts considerably longer. The treatment process gives the wood a green or brown tint, which some people find attractive and some don’t. And while this is still natural wood with all its inherent grain characteristics, there are also small slots at regular intervals along the face of the wood where the treatment chemicals are injected. With a proper design a pressure treated deck is a good investment and will last for decades. Most composites are manufactured from wood byproducts (sawdust, wood chips, etc.) and recycled plastics. Combining synthetic and organic materials captures the best of both worlds, creating a durable product that looks and feels similar to wood decking. 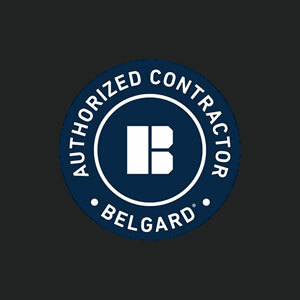 The number one benefits of composite products is longevity you can expect your composite deck to withstand the most severe weather conditions for decades without any additional treatment or protection. The RIGHT deck and custom benches are designed to last for years to come and enhance the natural beauty of not only your outdoor surroundings, but increase the curb appeal of your home as well. The exterior of your home gives an impression of what to expect inside the home. By creating a luxurious outdoor environment it helps enhance the overall aesthetic of your home and increases curb appeal. 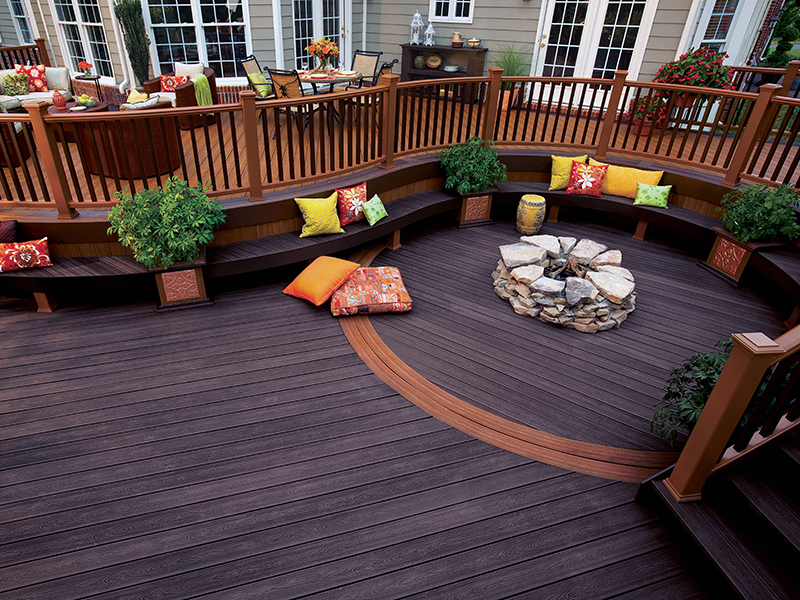 A deck with custom seating also gives your landscape a completed look and ties everything together. 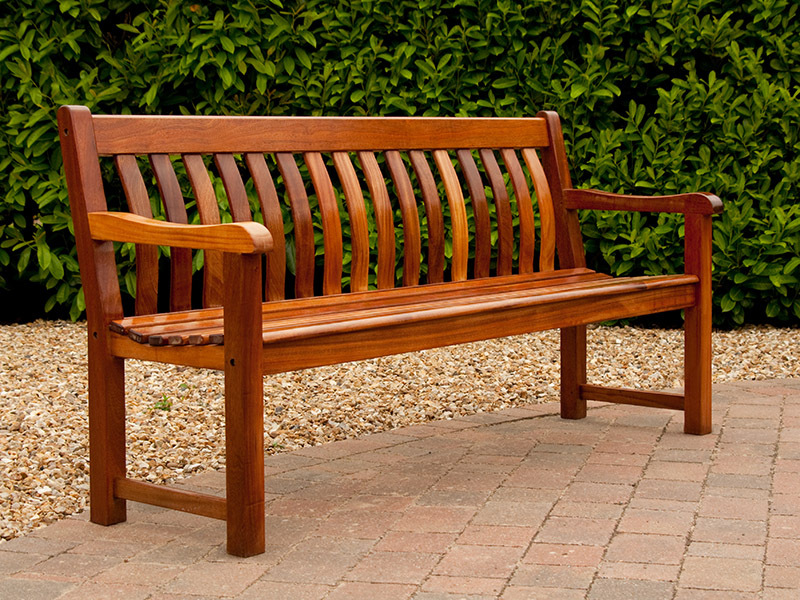 One-of-a-kind, sustainable, custom wood benches add stylish seating to your outdoor living space. 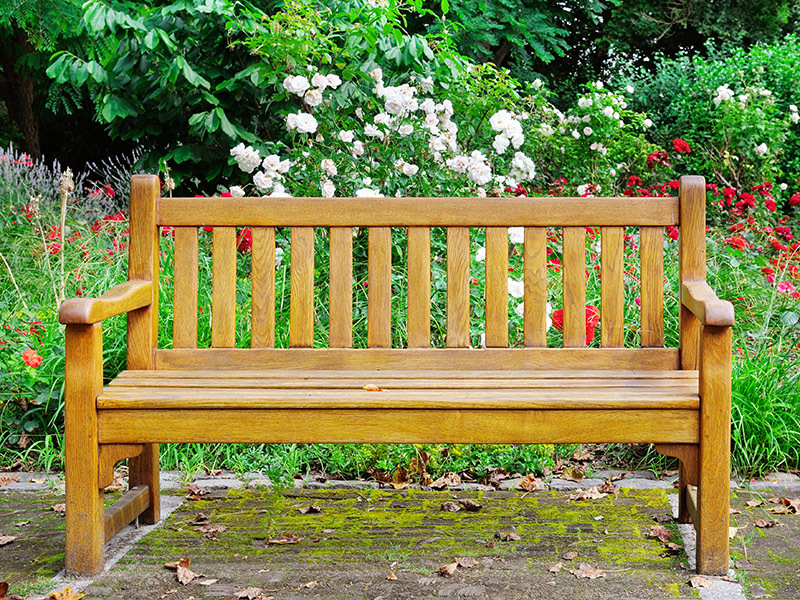 Choose from built-in seating or stand alone benches in every style imaginable.